Malaya, is what this country once was called, which means, “hill or high ground.” Malay is the main ethnic group that inhabits the country. The earliest Malays were referred to as Kun-lun people by the Chinese, back in 688 A.D. Malays, or more specifically Austronesian’s, were reported in the “Old Book of Tang”, as merchants who arrived in ships with valuable goods to trade with the Chinese. Today the country is called Malaysia, which holds a rich history. After gaining independence from the United Kingdom, in 1957, Malaya was known as the Federation of Malaya. In 1963, Singapore, Sabah and Sarawak were combined with Malaya to become the country of Malaysia. However, shortly thereafter, Singapore was expelled from the federation, due to racial riots and became a country of its own. Malaysia is part of Southeast Asia. It is located on the Asian mainland known as West Malaysia and shares a border with Thailand. It is connected by a causeway and a bridge to the island state of Singapore, with coastlines on the South China Sea and the Straits of Malacca. East Malaysia is on the island of Borneo and shares borders with Brunei and Indonesia. The capital city, and largest city, Kuala Lumpur, is located on the Malay Peninsula in West Malaysia. It is home to the bulk of the Malaysian population. It is much more developed and urbanized than the east. The two sides of the peninsula are separated by the Titiwangsa mountain range. East Malaysia is about 800 km from the West Peninsula and occupies the northern third of the island of Borneo. The island is partly covered by impenetrable jungle and is rich in natural resources but has a history of headhunters. Malaysia is run as a federal, parliamentary democracy with a constitutional monarch. The king’s position, nominally heads the government and rotates every five years between nine hereditary Malay rulers. The king selects the prime minister from the leading coalition in parliament; a body of elected representatives. There have been several uprisings but never a military coup since their independence. The government demands a great deal of deference from the public. Malaysia retains aspects of a police state, from back in the days of British Malaya. The police are heavily armed and anyone found possessing an illegal firearm receives a mandatory death sentence. Malaysia has a complicated history with kingdoms and sultanates, along with colonization from European powers like the Portuguese, Dutch and ultimately the English. Japan had even taken over the area for a brief period, during World War II. They arrived at the port of Khota Baru the same day they bombed Pearl Harbor. They stole bicycles from villages along the way and it took them 45 days to arrive in Singapore. The English however wanted to maintain the colony, as they were interested in the tin and rubber industries there. It was the English who were responsible for bringing in Chinese and Indian laborers to work in those profitable industries. These events have made Malaysia a very cultural and ethnically diverse country. Today, Malay make up about 55 percent of the population, with Chinese around 23 percent, indigenous people about 12 percent and 7 percent are from India. The balance are non-citizens from surrounding areas, including some Europeans. The Malays and the indigenous groups are known as Bumiputras or “Sons of the soil.” The official religion of Malaysia is Muslim, however they allow freedom of religion. The Chinese population is mostly Buddhist and the Indians are mainly Hindu. Christianity is also practiced by about nine percent of the population, mostly in Sabah and Sarawak in East Malaysia. 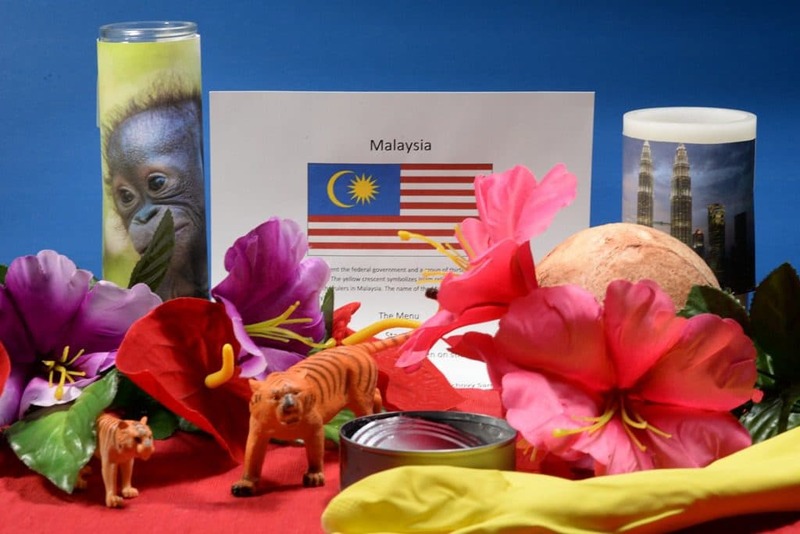 The official language is Malay, with English taught as a secondary language. 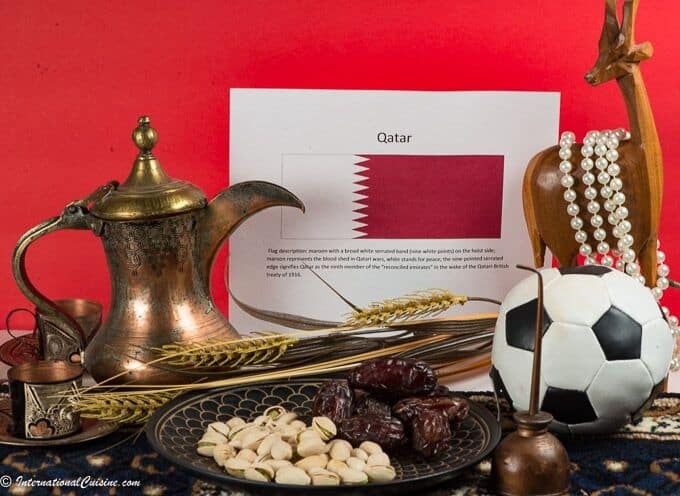 However, each ethnic group speaks their own language, with at least 137 languages identified. Malaysia is ranked 14th in the world, as one of the most competitive economies. They are the third richest in Southeast Asia, by GDP per capita, after Singapore and Brunei. Back in 1971 they put economic reforms in place called, “The Malaysian New Economic Policy” and ran a newly industrialized, market economy. This move allowed the Bumiputeras to rise out of poverty through special privileges in housing development, scholarships, and ownership of publically traded companies. The government also subsidizes and controls prices on essential items to keep the cost of living low. They have an extremely low unemployment rate, of only three percent. Malaysia is a major hub for electrical component manufacturing, solar equipment and the automotive industries. Although agriculture no longer plays a prominent role in exports, they are large producers of palm oil and rubber. In an effort to make Malaysia’s economy less dependent on exports, the government pushed to increase tourism. This was another big success, as Malaysia is now ranked 11th in the world and second in Southeast Asia for tourism arrivals. It is no wonder that tourism ranks so high. Aside from the multicultural society, where festivals of all types take place, there is astonishing natural beauty, from gorgeous beaches to ancient, tropical rainforests. The national parks are excellent for wildlife watching and offer cave exploration and river rafting. There are six UNESCO World Heritage sites to explore, a couple of them are entire, historic towns. Shopping is another big enticement, with malls in Kuala Lumpur being destinations in and of themselves. One also cannot underestimate their exquisite cuisine as another draw for tourism. As we look into the cuisine of Malaysia, they share many dishes with neighboring Brunei, Indonesia and Singapore. They also have influences from the Chinese, Indians and the indigenous populations. 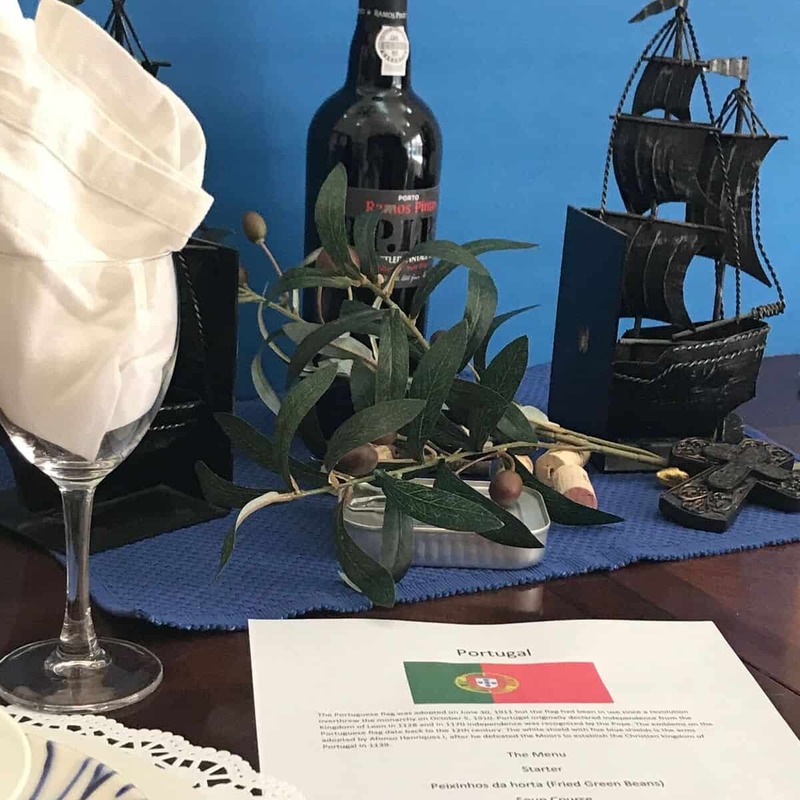 Thai, Portuguese, Dutch and British cuisines are also represented. The fusion of the multicultural society makes for a highly diverse, complex and delicious cuisine. Rice, nasi, remains the most important staple food. Malaysia produces about 70 percent of the amount of rice it needs and imports the rest. Noodles are also extremely popular, as is Indian style breads. Fish, both fresh and dried, are abundant and mainstays in the diet. Chicken and beef are also readily available and handled according to Halal standards, which means it is permitted under Islamic Shariʻah (law.) The Chinese eat pork, but it is marked as non-halal, and Muslims do not consume it. All types of exotic fruits and vegetables are grown and consumed as part of the Malaysian diet. Often, green, leafy vegetables are stir fried with a shrimp paste and hot chili peppers. Carrots, cucumbers, onions and beans are used to make a pickle called acar. The durian is a pungent, spiky fruit known as the “King of Fruits.” People either love it or hate it. The fruit is sometimes banned from hotels and subways due to its pungent smell. The mangosteen, in contrast to the durian, is called the “Queen of Fruits.” Chili peppers are indispensable in Malaysian cuisine. The come in all shapes and sizes and are used both fresh and dried. They are often ground into a paste or sambal and served alongside as a condiment or garnish. Lemongrass, garlic and ginger, tamarind and pandan leaves, are also prevalent. Coconut, in all its forms, is quintessential in Malaysian cuisine as well. We set the scene with a variety of exotic flowers, including hibiscus, which is the national flower of Malaysia. Tiger figurines represented the national animal but we also included a picture of an orangutan, as they are endemic to the islands of Borneo and Sumatra. The name orangutan means, “man of the forest” and they are the closest genetic relative of humans. Also, we had a photograph of the Petronas Towers in Kuala Lumpur. They are the largest twin towers in the world. The two massive buildings are joined by a sky bridge at level 41 which is 558 feet off the ground. The towers are an astonishing overall height of 1483 feet and a prideful symbol of Malaysia. We began with a very popular street food that is loved all over the world. 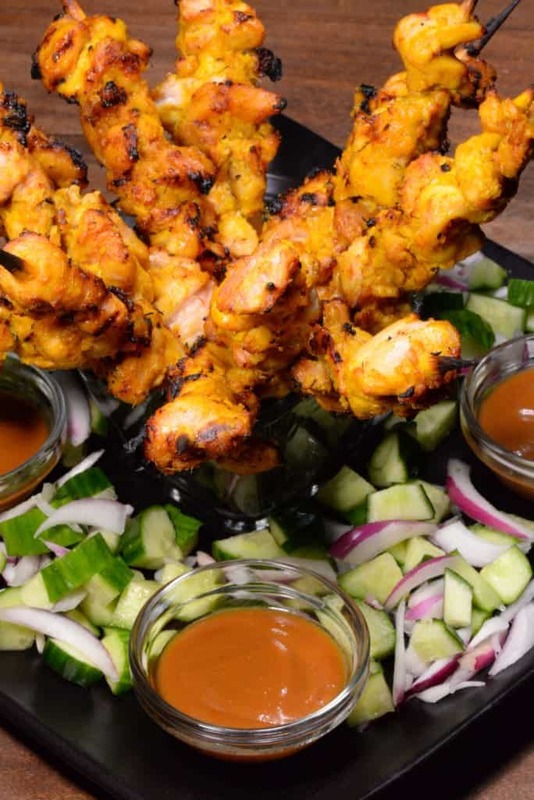 Sate, as it is spelled in Malay, is known as satay everywhere else. This appetizer is one of my all time favorites. The complex marinade that the chicken is flavored in and the peanut, dipping sauce, are just simply scrumptious. The chicken was perfectly tender and delicious. It is almost always served with cucumber and onions. Simply awesome! Meals are typically served all at once in Malaysia, as opposed to in courses. So everything else was brought out family style, except for dessert. We said, “Jemput makan” which means, “Please eat” in Malay. 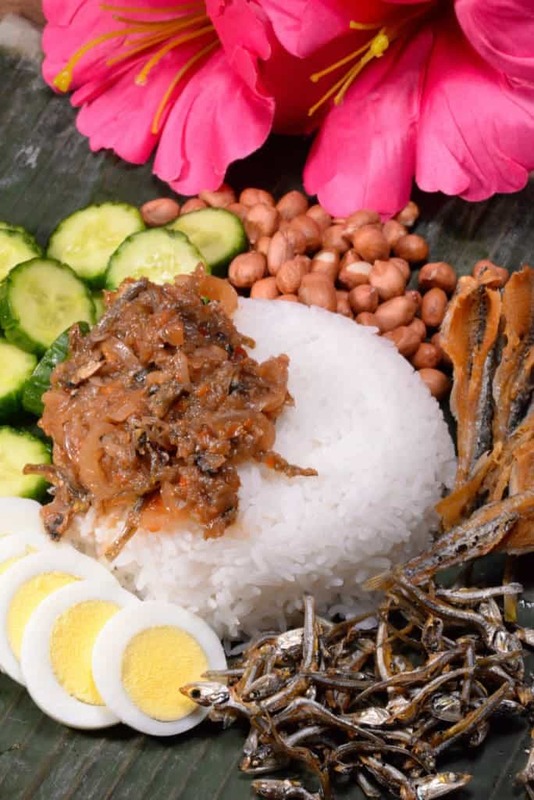 Nasi Lemak is ubiqutious in Malaysia and considered to be the national dish. Although it is typically served for breakfast, it was enjoyed as part of our Malaysian feast. The dish is a coconut milk, steamed rice that is flavored with pandan leaves. A dried, anchovy sambal called Ikan Bilis was served alongside the rice. The sambal was super spicy, with complex flavors and we served it next to fried sardines, fried anchovies, hardboiled egg, peanuts and cucumber. It was served on a banana leaf, as would be customary in Malaysia. 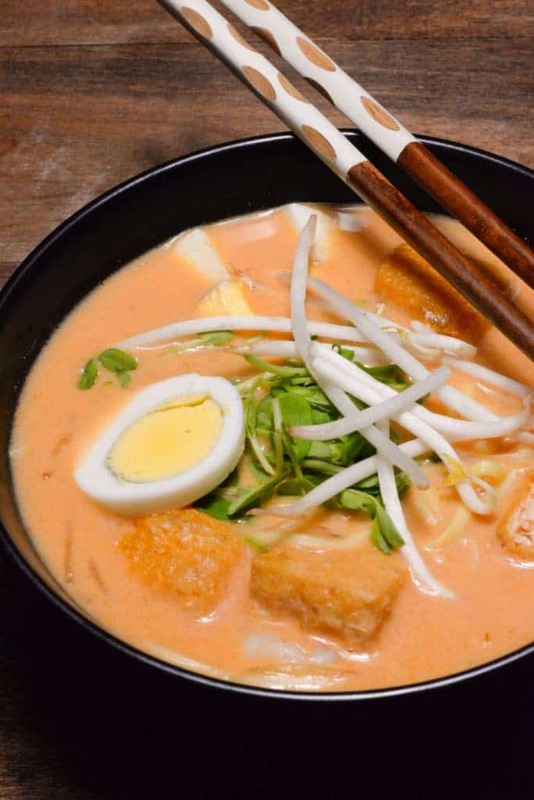 A laksa was made with a delicous, coconut, curry broth and topped with vermicelli noodles, shrimp, tofu cake puffs, hardboiled eggs and bean sprouts. Nearly every region has its own version of laksa and we loved this one. It is really a meal unto itself. A delicious coconut and chili salad, called kerabu, was also served. 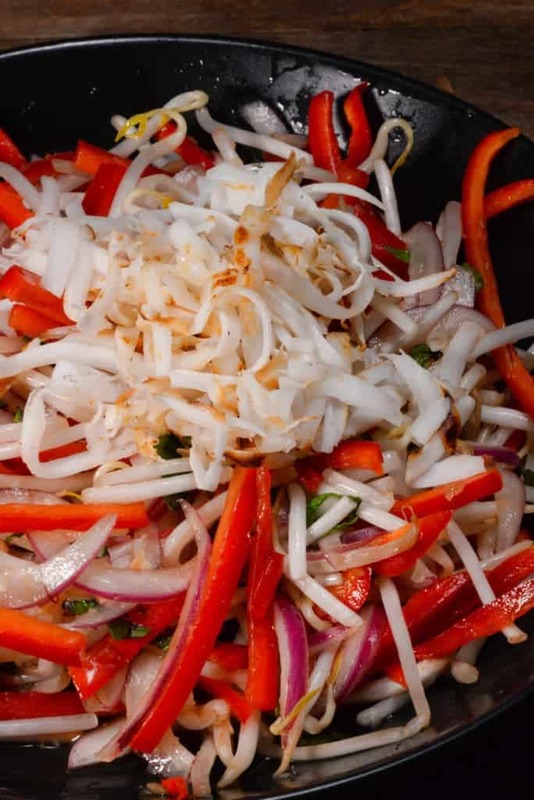 Fresh, shredded cocounut with thinly sliced, red onion, bell pepper, chilis and bean sprouts, made up this light and refreshing salad. However, it was clearly the dressing that was the star, bringing on those distict Southeast Asian flavors, that we love so much. The dressing was made with fish sauce, lime juice, sugar and gingerroot. It is a keeper indeed. 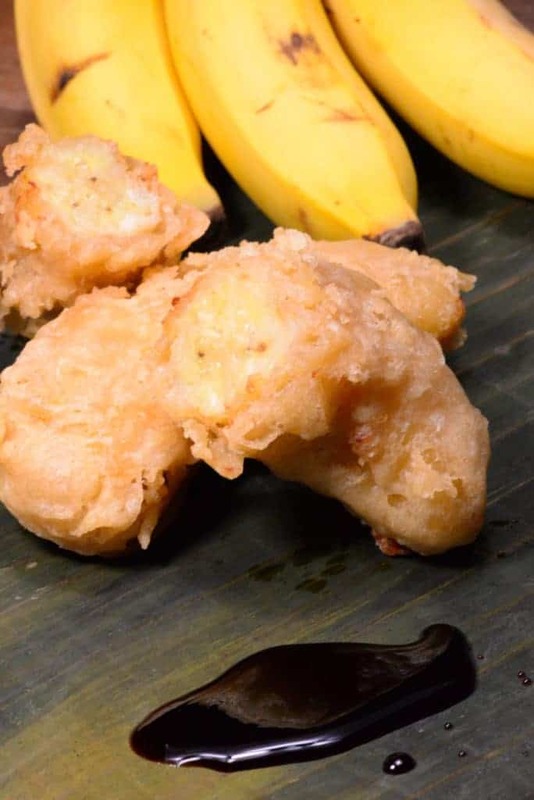 For dessert, we prepared a deep fried, baby banana, which is another common street food or snack called, pisang goreng. The warm banana was served on a banana leaf and dipped in the sweet, soy based sauce, called kesap, which is so loved in the region. Although it seemed odd to dip it in soy sauce, it somehow was as satisfying as a rich chocolate. After our meal, we decided to try a Malaysian game called “sepak takraw” or “hit the ball.” The game resembles volleyball. The object is to keep the ball (typically made from bamboo or ratan) from hitting the ground, using anything but your hands. Exact rules were drawn up and were formally introduced in the Southeast Asia Games in 1965. It is not so easy, but we enjoyed trying! i am also studying culinary here in the philippines.. really a heaven for me to be part of this culinary journey!! How much fun, so happy you are enjoying the journey, thank you for you most kind comment!